Zola Elements Antique Silver (plated) Delicate Crescent Focal w/ Resin Turquoise 21x33mm NEW! Zola Elements Matte Gold (plated) Delicate Etched Crescent Focal 31x33mm NEW! Zola Elements Matte Gold (plated) Delicate Crescent Focal w/ Resin Turquoise 21x33mm NEW! Zola Elements Matte Gold & Antique Silver (plated) Beaded Cross w/ Hematite Crystals Textured Focal 15x22mm NEW! Zola Elements Matte Gold (plated) Hammered Crescent Moon Focal 17x23mm NEW! Zola Elements Antique Silver (plated) Radiant Sun Coin Focal 18x21mm NEW! Zola Elements Antique Silver & Matte Gold (plated) Flower w/ Metallic Peacock Crystal Textured Focal 15x22mm NEW! Zola Elements Matte Gold (plated) Radiant Sun Coin Focal 18x21mm NEW! Zola Elements Antique Silver (plated) Delicate Etched Crescent Focal 31x33mm NEW! Zola Elements Antique Silver (plated) Hammered U-Shape Focal Link 44x32mm NEW! 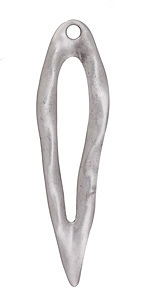 Zola Elements Antique Silver (plated) Large Wavy Inverted Open Drop Focal 25x89mm NEW! Zola Elements Matte Gold (plated) Evil Eye w/ Resin Turquoise Focal 21x15mm NEW! Zola Elements Matte Gold (plated) Carved Spike Drop 3x30mm NEW! 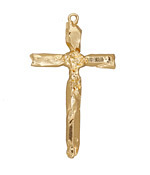 Zola Elements Matte Gold (plated) Quartz Points Cross Focal 29x49mm NEW! Zola Elements Matte Gold (plated) Large U-Shape Multi-Chain Patterned Focal Link 41x43mm NEW! 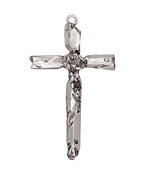 Zola Elements Antique Silver (plated) Quartz Points Cross Focal 29x49mm NEW! Zola Elements Antique Silver & Matte Gold (plated) Cross w/ Smoky Crystals Textured Focal 15x22mm NEW! Zola Elements Antique Silver (plated) Scrolling Half Circle Slide Focal 21x13mm NEW! Zola Elements Antique Silver (plated) Sunflower Rectangle Slide 13x7mm NEW! Zola Elements Antique Silver (plated) Carved Spike Drop 3x30mm NEW! 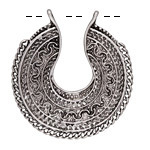 Zola Elements Antique Silver (plated) Aztec Crescent Focal Link 32x17mm NEW! Zola Elements Antique Silver (plated) Armor Chandelier Focal 20x16mm NEW! Zola Elements Matte Gold (plated) Scrolling Half Circle Slide Focal 21x13mm NEW! Zola Elements Matte Gold (plated) Flower Petals w/ Resin Turquoise Focal Link 13x13mm NEW! Zola Elements Matte Gold (plated) Floral Wavy Crescent Focal Link 29x20mm NEW! Zola Elements Antique Silver (plated) Quartz Point Drop 3x26mm NEW! Zola Elements Matte Gold (plated) Small Bound Crescent Focal 11x12mm NEW! Zola Elements Matte Gold (plated) Hammered U-Shape Focal Link 44x32mm NEW! 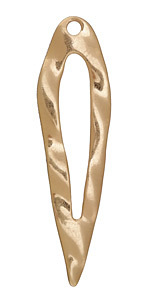 Zola Elements Matte Gold (plated) Large Wavy Inverted Open Drop Focal 25x89mm NEW! 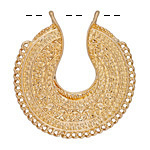 Zola Elements Matte Gold (plated) Layered Crescent Filigree Focal 18x17mm NEW! Zola Elements Matte Gold (plated) Lashed Eye w/ Crystal Focal Link 22x12mm NEW! Zola Elements Matte Gold (plated) Ironwork Medallion Focal Link 12x15mm NEW! Zola Elements Antique Silver (plated) Lashed Eye w/ Crystal Focal Link 22x12mm NEW! Zola Elements Antique Silver (plated) Nugget Cone 10x18mm NEW! Zola Elements Matte Gold (plated) Aztec Crescent Focal Link 32x17mm NEW! Zola Elements Matte Gold (plated) Sunflower Rectangle Slide 13x7mm NEW! Zola Elements Matte Gold (plated) Quartz Point Drop 3x26mm NEW! Zola Elements Antique Silver (plated) Large U-Shape Multi-Chain Patterned Focal Link 41x43mm NEW! Zola Elements Antique Silver (plated) Floral Wavy Crescent Focal Link 29x20mm NEW! Zola Elements Antique Silver (plated) Layered Crescent Filigree Focal 18x17mm NEW! Zola Elements Antique Silver (plated) Small Bound Crescent Focal 11x12mm NEW! Zola Elements Antique Silver (plated) Hammered U-Shape Chandelier Focal Link 22x22mm NEW! Zola Elements Matte Gold (plated) Small Figa Fist Focal 7x15mm NEW! 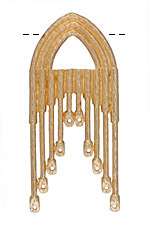 Zola Elements Matte Gold (plated) Gothic Arch Chandelier Focal 30x66mm NEW! Zola Elements Matte Gold (plated) Nugget Cone 10x18mm NEW! Zola Elements Antique Silver (plated) Flower Petals w/ Resin Turquoise Focal Link 13x13mm NEW! 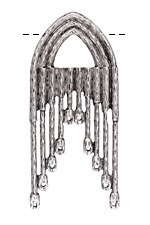 Zola Elements Antique Silver (plated) Gothic Arch Chandelier Focal 30x66mm NEW! Zola Elements Matte Gold (plated) Clustered Quartz Points Focal Link 27x16mm NEW! Zola Elements Antique Silver (plated) Small Figa Fist Focal 7x15mm NEW! Zola Elements Antique Silver (plated) Ironwork Medallion Focal Link 12x15mm NEW!